Chakra stones are hand carved into disc shape. Because of the shape, these stones can be placed easily on any body parts. 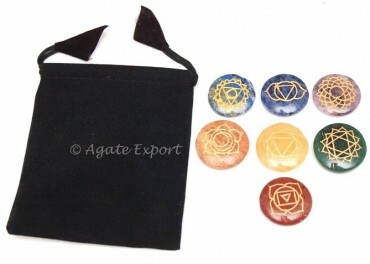 Chakra Engraved Disc Set on Agate Export is 25-35 mm in size.